Dimensions 17.71" x 5.91" x 1.77"
Was very excited to finally buy a ducky keyboard but after ordering one I'm not so pleased anymore. Paid for 3 day shipping or less and received my keyboard with a F6 key dead on arrival. No other colors made the key work and reseting didn't fix it. Support was nice and shipped out a new keyboard but after using it for two days and checking to see if I've gotten any debris in it, I find that it's not dirt. There's a scrap/dent in the wall by my 1 key. Since the the bottom is white and not black like the rest of it it stands out even more. Not really happy with my experience. If I ship it back I'm sure I'll just end up with another messed up keyboard for a third time. This keyboard is a good one. It helped me with my typing. Now when I type it does not hurt my thumb. This was my first mechanical keyboard, ever. I just received it on 7/11/18. I got mine with Cherry MX Silver switches, and it's absolutely amazing. Keys take some getting used to, as my old membrane keyboard was 7 years old. This is a night and day difference as far as responsiveness goes. I hope this one will last just as long! Software controls are great for this keyboard, and it has a lot of options as far as RGB effects go, and they are gorgeous! Also my first time ordering from MK.com. Would do business again! I just wish I didn't order before the US holiday to prevent a few extra days of free shipping. No problems whatsoever! I have had a Ducky Shine keyboard since 2011, just replaced the keycaps (second time). I must have very acid fingers, as no other backlit keyboard's keycaps last for long with me--the letters and numbers wear off in anywhere from a month to a year. Not so with the Ducky Shine. It has a good feel, is made well, and it lasts. It doesn't hurt that it's also aesthetically pleasing. 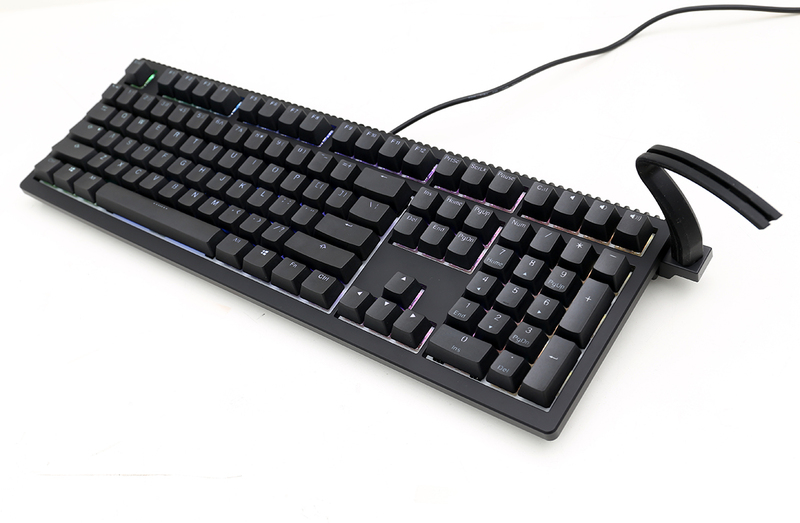 I highly recommend this keyboard, and will be buying another one for a new computer build. This is my first mechanical keyboard and it is a feels great and enjoyable to type. The lighting has many varieties of lighting modes. Great customer service and has a great RGB quality. Love this keyboard, customer service was also great!! This is my first mechanical keyboard so I can't really compare it to other options out there. That being said, this is a great keyboard. It is enjoyable to use when typing and works great with gaming. The lighting options are great and offer a variety of options (just download the software directly from the Ducky website). My only gripe is that it came with a extra space bar (plain one) that has some damage. Guess I'll stay with the year of the rooster space bar or get some other keycaps. The perfect choice for someone who want a great RGB board with an awesome build quality far from the flimsy "gaming" keyboards. My first Ducky and I am extremely impressed. My previous K70 RGB feels like a toy compared to this. 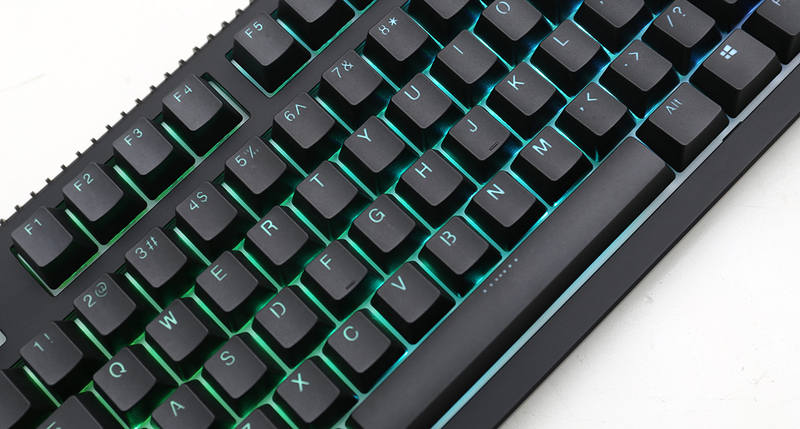 The Ducky is heavier and more rigid in spite of the K70's large aluminum backplate. This is also my first board with PBT keycaps - the feel is great and they don't sound hollow or tinny like the previous caps I've been used to. Out of the box, I think it was quieter even with the K70 having o-rings installed, and after moving the rings to the Ducky its perfect - quiet bottom-out with a solid feel. For heavy writing tasks or programming, I can't recommend this board enough. If you're a gamer and want quality rather than flashy features and dedicated macro keys, look no further. 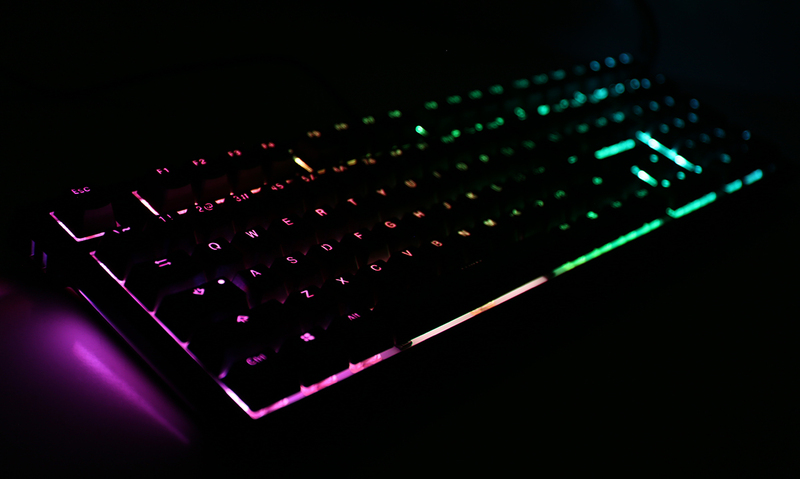 I've had the ducky shine 6 for a few weeks now and honestly, it's amazing. The red switches work wonderfully and the build quality is immaculate. This is my go-to keyboard. I will never switch to any other company. Absolutely amazing keyboard. 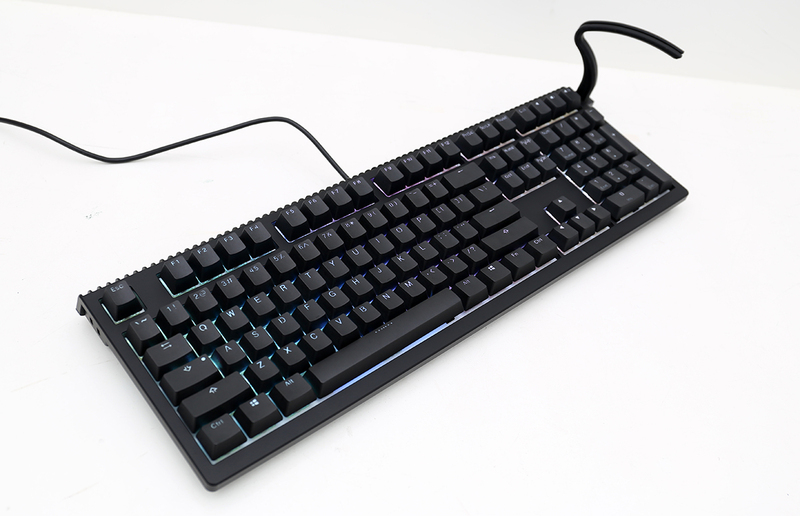 I switched from a DAS Keyboard 1st gen over to the Ducky Shine 6 and love it. The keys feel great and the lettering is superb. I went with red cherry MX and the 40A-R damper rings. The sound is not heavy and doesn't bottom out. The DAS I had used brown which is a slightly heavier weight over the red. 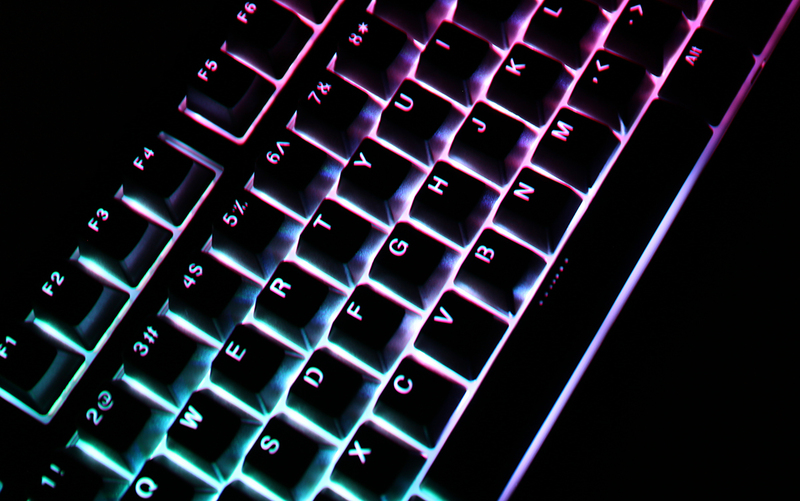 I love the LED and Macro capabilities of this keyboard. The only thing that would have made this keyboard any better than it already is, would have been the use of USB-C for the detachable cable. Otherwise, I've found a new home. Great keyboard with great features. 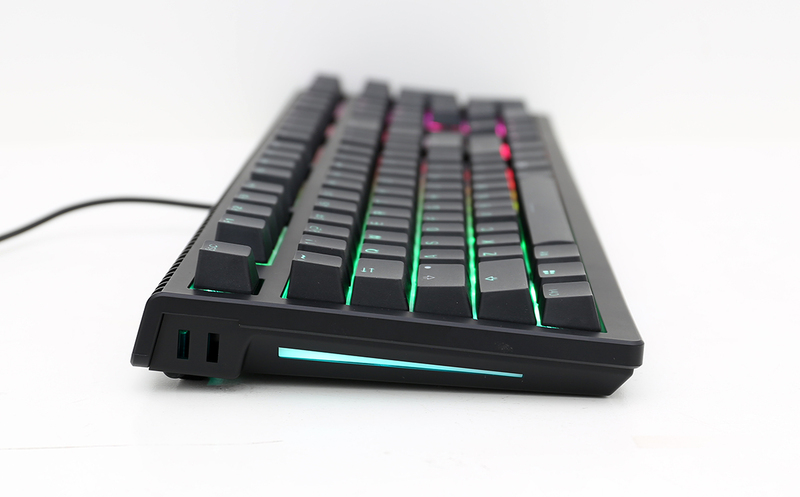 You cannot find a better RGB keyboard for this price with amazing build quality and PBT keycaps. Hands down the best keyboard I have experienced so far. I've been on the fence to jump to MX Cherry Reds after using MX Browns for over 8 years. I am so glad I made the switch. This keyboard fits the exact look I was going for, nice, sleek, not-overstated. I must say if you're going to splurge on this, go ahead and buy the floating key cap set. It truly takes it to the next level as far as looks and LED diffusion. Lastly, the software was a great nice addition, I was able to upgrade the firmware seamlessly and get the desired look within seconds. The UI is intuitive, sleek and did exactly what I wanted. I know there are a lot more "edgy" looking keyboards out there from various big brand names. But if you want the pure essence, look no further. Also side note, MK's original estimated shipping (standard) was 7 days, keyboard arrived in 3 days. Can't recommend them enough. Thank you for the great service. I am extremely impressed with the quality of this keyboard, and it is worth the price. These non-floating keycaps are extremely durable and high quality PBT. 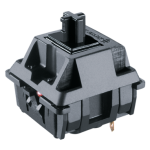 Lighting is easy to configure, and macros are easy too, but only after reading the included guide. The reason I am giving 4/5 is due to a couple small gripes. First, the extra 2016 year of the monkey spacebar was warped on the side. This is a common issue with large, PBT keycaps, but it is very noticeable and shouldn't have passed Ducky's QA. Second, MK's shipping leaves a lot to be desired. I'd like to see them become more competitive with their shipping time and costs, as I'd prefer to support them over other larger retailers. Built like a tank, and I thought my Ducky One (BrownMX) was built like a tank. Ok, built like a tank from a country with tighter tolerances. This keyboard is beyond amazing. Other than that, yeah it's always subjective, yadda yadda RGB and bought this with a Ducky wristwrest with my favourite colour stitching. I bought this keyboard a while ago and have been very impressed. It has replaced my WASD CODE for daily use. I was kind of put off initially by the pictures of the serrated upper edge, but in person, they are not nearly as odd looking. I was also happy that this keyboard came with normal keycaps - not the floating keycaps. I also like the fact that the lighting settings are stored in the keyboard, so they stay the same as you move the keyboard to different machines or OS's. 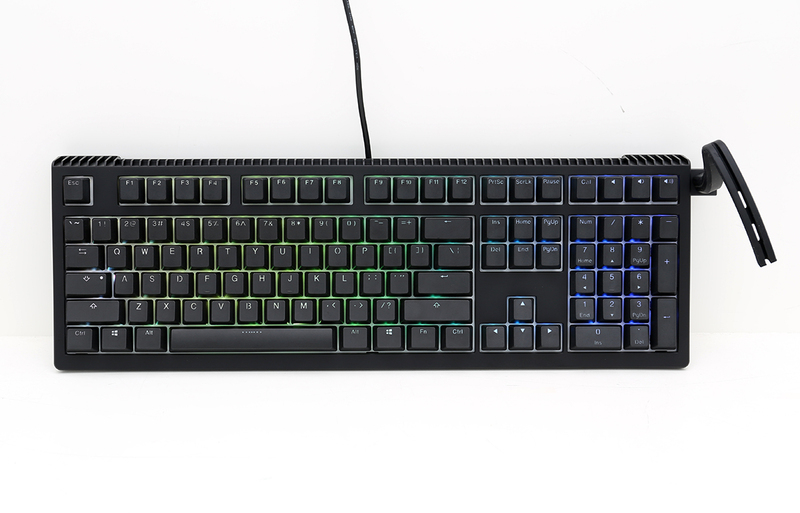 I'm not a gamer, I was looking for something fairly low-key that I could use in an office environment without feeling (or sounding) foolish, but also have RGB lighting for some keys. This seems to fit. I'm Planning to buy this keyboard, but i can tell already this is the perfect keyboard for me. Straight up, this is the best Ducky board yet. I've owned Ducky 2, Ducky 3, Ducky Mini, Ducky Pocket, CoolerMaster, Kingston.all kinds of boards. This one is well crafted and the feel is great. Keycaps are perfect, the font on the keycaps are pleasing. The lighting effects are great, I mostly run it in red for better visuals in dark rooms. The Silver Cherry is a great new switch. My favorite thus far and I've tried them all. Can't go wrong with this board. Good for office/businessdoesn't stand out unless you want it to.